This biography of Swami Chinmayananda (1916-1993) is for anyone who wants to get a perspective of a different mindset and a unique way of life. In telling the story of one master’s training and evolution in the Himalayas and his subsequent mission to his countrymen, the author enlightens you on the essence of India’s culture, philosophy and religion. His story will surely educate you, inspire you, and broaden your horizons of the meaning of life. Second best-selling book of all Chinmaya Mission books!! The Swami spent five years in the Himalayas under the tutelage of two incredible Masters of live, as different as day and night. Although both were scholars of the scriptures, their manifestation was unique. One was an incredible streak of light and energy who traveled India teaching, then created a huge ashram center to serve all of humanity. The other was a quiet contemplative recluse who sang inspirational songs and taught only a few students. 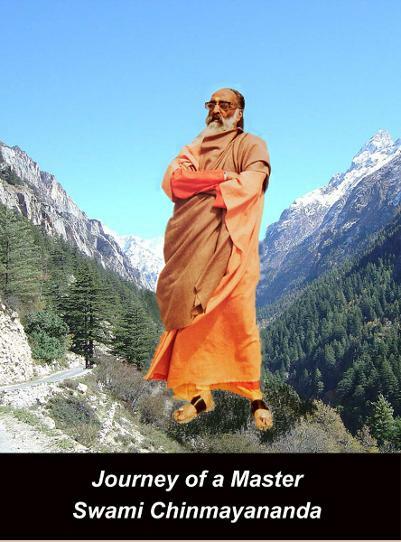 Swami Chinmayananda appeared on the scene at an appropriate time in Indian history. The British had just left the country with no one trained to take the helm of State. The British had taken all the top government positions. In addition, they had curtailed any industrial development; the Empire was about having consumers for British products. The Indians had lost their moorings: economically, spiritually and personally. To these countrymen, beaten down by 150 years of British rule, repression and slavery, the Swami gave a message of hope. He worked relentlessly for about 40 years to bring about a spiritual revival in India and abroad. His unique style and logical approach was appreciated by everyone from college students to bankers to priests—both Hindu and Christian. By teaching directly the wisdom of their ancient scriptures, he gave the listeners confidence and inspiration to move forward in business and in creating charitable endeavors for the uplifting of the downtrodden of the country. Through 200 centers in India, his devotees have built and operate schools, hospitals and clinics, nursing homes, retirement homes and training centers for nurses and teachers, as well as spiritual training centers. This story of the legacy of one of the most influential persons in the modern history of Hinduism is sure to surprise you, amaze you—and inspire you.